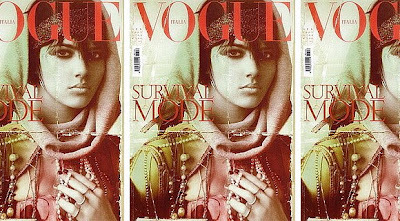 vogue italia's latest issue. capturing the times of recession and quiet descetion in fashion elegantly and so vintagey. gotta get that cover now.